The world's largest mobile phone company, Vodafone Group, has shaved 1 billion pounds, and possibly more, off the taxes its UK operating unit might have paid in the past decade, thanks to accounting factors not seen at other European units. A Reuters examination of statutory filings made by Vodafone across Europe over the past 16 years shows the UK taxman has often gone empty handed, while tax authorities in Germany, Spain and elsewhere have raked in billions of euros. Indeed, rather than incurring UK tax in recent years, Vodafone has racked up tax credits such that it may not have to pay any tax on its UK operations for the foreseeable future. Vodafone's low UK tax bill is in spite of soaring revenues here and the fact that Chief Executive Vittorio Colao has repeatedly told investors that Britain was one of the group's stronger performing markets. "This is yet another tax scandal," said Member of Parliament Margaret Hodge, chair of the parliamentary Public Accounts Committee, which scrutinises public expenditure and revenue-raising. "It may be legal, but it's completely immoral. They make money out of Britain, and they should put money back into Britain." Vodafone declined to answer most questions about its accounts, citing commercial sensitivity. It said it was committed to acting with integrity and transparency in all tax matters, while also having a responsibility to shareholders to control tax costs. There is no suggestion the company has behaved unlawfully, and arranging its affairs in a tax-efficient manner within the law is standard business practice. "Paying more than was required would be a dereliction of duty to shareholders," said Robin Bienenstock, research analyst at Sanford C Bernstein in London. The British tax authorities, which lawmakers last year accused of being "too cosy" with big business, the Treasury and Vodafone Limited's auditor Deloitte said they could not comment on individual companies' tax affairs. Tax avoidance is already at the top of the political agenda in the UK; last week Prime Minister David Cameron said popular comedian Jimmy Carr was "morally wrong" to shelter 3.3 million pounds of income from tax by using an apparently legal tax avoidance scheme. Tax campaigners say the tough approach to individuals avoiding tax contrasts with a lax approach toward corporations doing the same. Between 1998 and 2003, Vodafone's UK unit, Vodafone Ltd, made annual profits of around 530 million pounds and paid taxes of around 170 million each year, its accounts show. While revenues have soared since 2003, reported profits have plunged. In the past three years, the UK unit has racked up losses in excess of 100 million pounds each year. The profit collapse is tied to two factors, the accounts show. In 2001, Vodafone limited began making large interest payments on money it borrowed from companies within the Vodafone group. In the 10 most recent years for which accounts have been published, Vodafone Ltd paid associated companies 3.3 billion pounds in interest. This reduced the UK unit's taxable profits by a commensurate amount because interest payments are tax deductible. Using the prevailing corporation tax rates at the time, this translated to savings worth 961 million pounds to Vodafone Ltd, either in reduced taxes, or by generating tax credits that could be used to offset future profits. Tax experts say there have been cases where UK companies have established units in Luxembourg, which then lend the money back to UK units, as a tax avoidance mechanism. This reduces profit in the UK, where corporate profits are taxed at 24 percent - down from 30 percent a few years ago - while generating profits in Luxembourg, where financial profits can be taxed at rates under 1 percent. Vodafone has a Luxembourg-based unit, Vodafone Investments Luxembourg S.a.r.l., which it says on its website was "established as the main financing company for our many operations around the world". 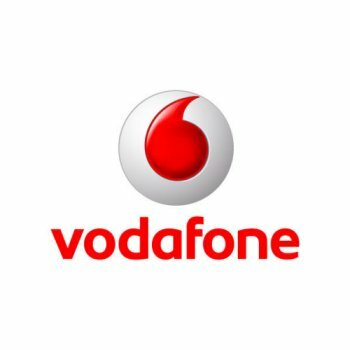 A spokesman said Vodafone Limited's interest payments were to other UK-based units of Vodafone but declined to say whether these units had in turn borrowed the money from Vodafone Investments Luxembourg. The dramatic rise in inter-company interest payments seen at the UK unit is not reflected at other Vodafone units in Europe. Vodafone D2 GmbH, the phone giant's Duesseldorf-based German unit, paid less than 2 million euros in interest to affiliated companies in the year to March 2011, the most recent year for which accounts are available. Vodafone Espana paid 43 million euros in interest to group companies in that year. Accounts for the holding company for the Italian operations do not break down interest payments between affiliated and non-affiliated companies but do not show any significant rise in overall interest payments since 2007. The other main reason behind Vodafone Limited's swing to reported losses was an increase in the price its UK unit pays for the mobile phones and connection services it sells on to consumers. In 2002-2004, the 'costs of goods sold' represented around 55 percent of turnover. In the past three years, reported costs of goods sold have averaged 76 percent of turnover, squeezing Vodafone's income. Vodafone said in an emailed statement that the "extremely competitive commercial environment in the UK" had affected margins. A narrowing gap between revenues and cost of goods sold can reflect increased competition, whereby companies struggle to pass on cost increases to consumers via higher prices. However, transcripts of conference calls with analysts, that CEO Colao or Chief Financial Officer Andy Halford host each quarter on the release of earnings results shows the company has warned for several years that its margins across all European markets were under constant pressure. The UK was not singled out as a market that suffered an exceptional increase in margin pressure. In Germany, where Vodafone says call costs are at the European average or below, the cost of goods sold has not risen dramatically as a percentage of turnover, and averaged 57 percent in the two most recent years for which accounts are available. "This suggests there is some very odd pricing going on into Vodafone UK," tax campaigner Richard Murphy said. At Spanish group Telefonica's UK division, O2, cost of goods sold has remained constant at around 58 percent in financial statements for 2007 to 2010, the last four years for which accounts are available. This allowed O2 to generate profits of 788 million pounds in 2010, on which it paid tax of 189 million pounds. Had Vodafone's cost of goods sold in the UK since 2003 averaged the same level as the German unit experienced in recent years, the unit's profits could have been 4.7 billion pounds higher, and it could have incurred an additional 1.4 billion pounds in tax, according to Reuters calculations based on the company accounts. By massaging the prices group companies charge each other for goods and services, multinationals can shift profits from high-tax to low-tax jurisdictions. This technique, known as "transfer pricing", typically involves a group company in a low-tax regime selling goods above market price to an affiliate in a higher tax regime. Tax authorities around the world keep a sharp eye out for transfer pricing abuses, but it can be hard to spot. Vodafone declined to say why costs of goods sold as a percentage of UK turnover rose so sharply. It said the absence of a UK income tax charge for Vodafone Group in the year to March 2012, was due to high capital allowances and high external interest charges rather than transfer pricing adjustments. It also cited the high cost of purchasing a UK 3G phone licence in 2000. UK profits were indeed hit by a depreciation charge on licences of 333 million pounds last year. However, in the profitable German unit, the charge was 519 million pounds. At Vodafone Germany and Spain, the lower cost of goods sold and absence of big inter-company interest payments explain their high profitability - and the high taxes paid in those countries. Vodafone's German unit incurred corporate taxes of 3.14 billion euros from 2007 to 2011. Between 2008 and 2010, the Spanish unit paid almost 900 million euros. In 2011 alone, corporate income taxes payable by the holding company for the Italian unit were 721 million euros. Vodafone Limited has racked up so many losses in recent years and its reported profitability has declined so much that it has even written off previously accrued tax losses, as it no longer expects to have enough future profits to absorb them. Yet the ostensibly parlous state of the UK unit's finances is in sharp contrast to comments from the company to investors and analysts over the past few years. The company's most recent annual report said the UK "performed well" last year. "(Group) Service revenue declined by 0.4%, reflecting reductions in most markets offset by growth in Germany, the UK, the Netherlands and Turkey," the report said. In every quarterly analyst call bar one since May 2010, Colao and Halford have praised the UK as one of the group's stronger markets. Another factor of which they regularly boast in these calls is Vodafone's proactive approach to managing its tax affairs. In 2002 and 2003 the company paid an effective tax rate of 36 percent. It said it brought this down to 25 percent last year, a level it has told analysts it expects to maintain in the coming years. This drop came about even before the UK began cutting corporate taxes, and rather reflects diligent planning. "Without further tax planning ... over the next few years, the underlying adjusted effective tax rate will be in the mid-30s," then-Finance Director Ken Hydon told analysts in 2005. Vodafone boosted its tax team in 2007 by hiring the head of the HMRC unit that dealt with large corporations, John Connors. Connors is now Vodafone's head of tax, according to its website. Connors, Colao and Halford declined requests for interviews. Around 2008, Vodafone even changed its top management bonus scheme to ensure that bosses would have a strong incentive for aggressive tax planning. Payouts under the group's Global Long Term Incentive Plan (GLTI) are tied to the company's cash flow. However, large one-off payments to settle tax disputes are excluded from the cashflow measure used to compute the bonus. This means that if the company doesn't pay taxes for years, cashflow is higher than it should be, facilitating a higher payout under the bonus scheme. But if the tax authority comes back and forces the company to pay back taxes, the payment doesn't diminish cashflow for bonus purposes. HMRC has challenged Vodafone's tax planning in the courts. In 2010, the company agreed to pay the authority 1.25 billion pounds to settle a claim related to its 2000 takeover of Germany's Mannesmann, which later became Vodafone Deutschland. The taxman viewed Vodafone's decision to structure the acquisition via Vodafone Investments Luxembourg S.a.r.l. (VIL) as a tax avoidance tactic, and sought to tax interest payments to VIL that were payable out of the profits of the German unit. The settlement - which was criticised by the Public Accounts Committee last year for potentially costing the taxpayer millions of pounds - allowed Vodafone to continue to channel interest payments into Luxembourg. Though this fact received little press attention at the time, Vodafone considered it a major coup. "This agreement preserves the very significant benefits of our efficient Group tax structure, which we have benefited from for many years," CFO Halford said on a conference call to analysts at the time. UK A SOFT TOUCH ON TAX? Multinational corporations pay most of their taxes in the individual countries where they have a bricks and mortar presence, tax experts say. Hence, Vodafone's base in Berkshire, to the west of London, means Britain should enjoy a double dip into the company's earnings - on income from its UK phone business and from some overseas income not taxed at the local level. But tax lawyers said the UK can suffer financially because of a willingness to allow structures that might be challenged as tax avoidance by overseas tax collectors. "The German system is very rigid and constrained. There seems less appetite for tax planning and tax-efficient structuring in Germany than in the UK," said Ben Jones, tax lawyer at Eversheds. "In France there is currently a greater capacity for the authorities to clamp down on structures they don't like," he added. The system may be about to become even more conducive to tax avoidance. Chancellor of the Exchequer George Osborne, who has said aggressive tax avoidance schemes are "morally repugnant", has published planned changes to the tax treatment of overseas subsidiaries that campaigners say will make it easier for big companies to shield profits from the tax man. As part of a drive to attract more international businesses to set up headquarters in the UK, Osborne has broadened the definition of what could be construed as legitimate use of controlled foreign subsidiaries. Campaigners including Murphy say this will make it harder for HMRC to challenge movements of cash to low tax jurisdictions. The Treasury has estimated the measures could cost the Exchequer 805 million pounds a year by 2016, according to documents on the HMRC website. Osborne hopes any direct revenue hit will be outweighed by increased job creation. But Vodafone's experience challenges the link between tax rates and jobs. Despite the UK's low headline corporate tax rate and the absence of actual tax charges on Vodafone's activities here, the mobile phone giant has cut jobs here by 23 percent since 2007, while increasing employment by 21 percent in Germany, where corporate taxes are over 30 percent. Also Vodafone's investment in Germany has risen 34 percent since 2007, against 11 percent in the UK. The UK's relaxing of tax rules is at odds with moves overseas, and Vodafone is feeling the heat. It faces a major tax challenge from the Indian government and believes rising fiscal deficits internationally could spell trouble. "The temptation of taxation that some governments, if not all governments, are feeling these days - this is really what I would put under the number one cloud (Vodafone faces)," CEO Colao said last month.